During the 2016 holiday season, we ran a special kind of contest. The Share the Love Giveaway was more than just a "free photo session"; it was the opportunity to treat someone deserving of a little extra love. We asked participants to nominate a friend, family member, or even a complete stranger who they felt needed or deserved a little extra cheer. The responses were heartwarming and uplifting. It was humbling to read about the struggles and the obstacles others have overcome and it was encouraging to know there are still so many great people out there who go above and beyond to make life better for others. 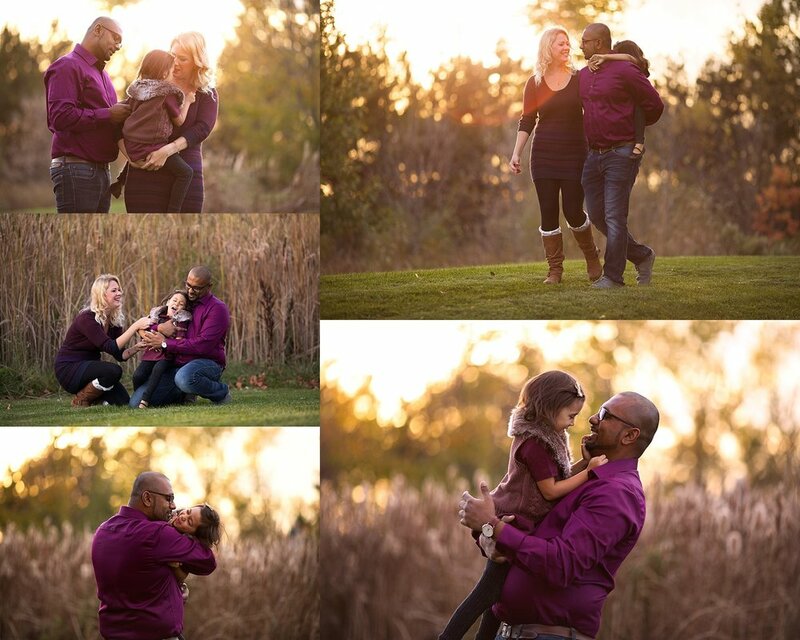 We had a beautiful Fall evening for our family portrait session at Walter Baker Park in Kanata. We took a stroll in the park and played in the gazebo. Such a beautiful location for family portraits in the west end of Ottawa. Even when kids aren't keen on having photos taken, they are never opposed to snuggles with Mom or Dad. I love seeing the natural interaction and the love a family shares. Selecting just one image to display in your home can be a daunting task, but luckily there are other options! In addition to our stunning gallery-wrap canvas art, Michelle Ma Belle Photography also offers Cluster Creations which include four or more float mount wall art pieces coordinated to create a storyboard on your wall. Contact us to schedule a consultation where you can view samples of all our print products.